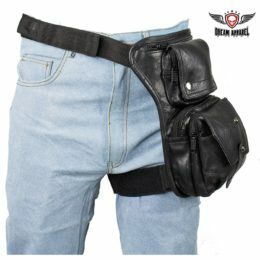 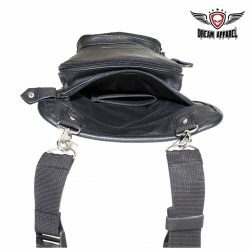 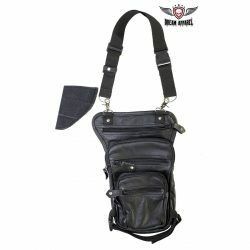 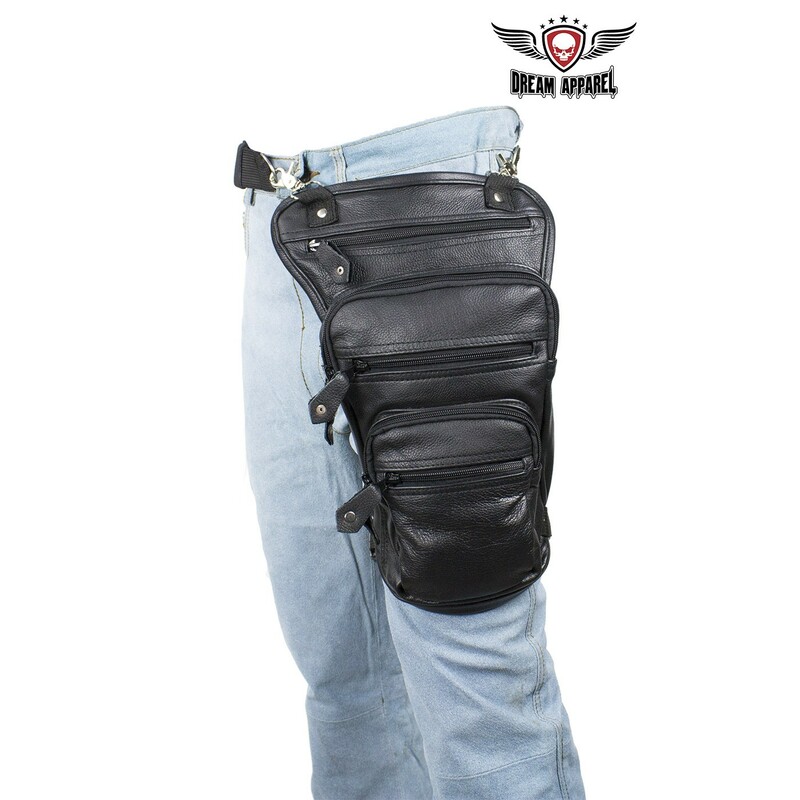 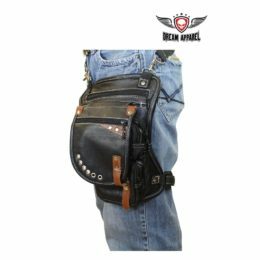 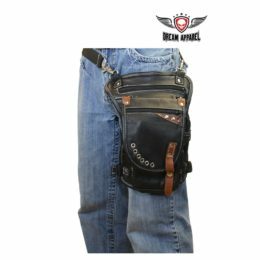 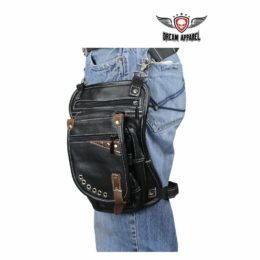 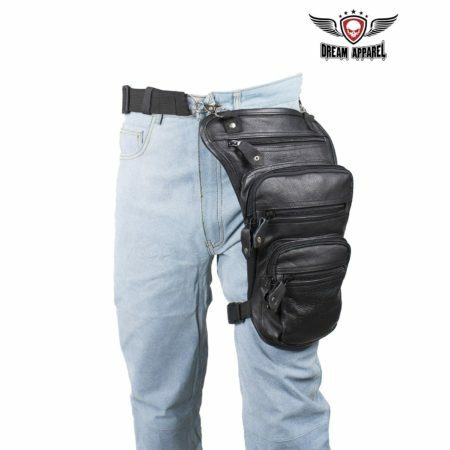 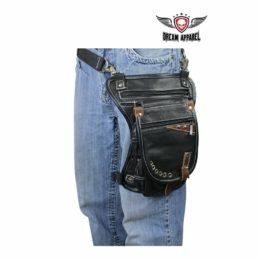 Bikersgearonline new multi-pocket black naked cowhide leather thigh bag is specially made to not only be the most snug fit but also give you an eye catching look that you’ve been waiting for. 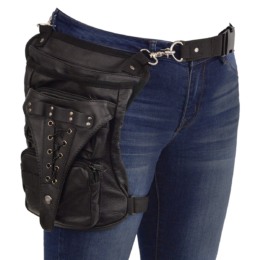 To start off, the botton section of the bag has two zippered pockets, the next section above that has two more larger pockets. 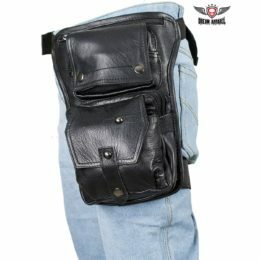 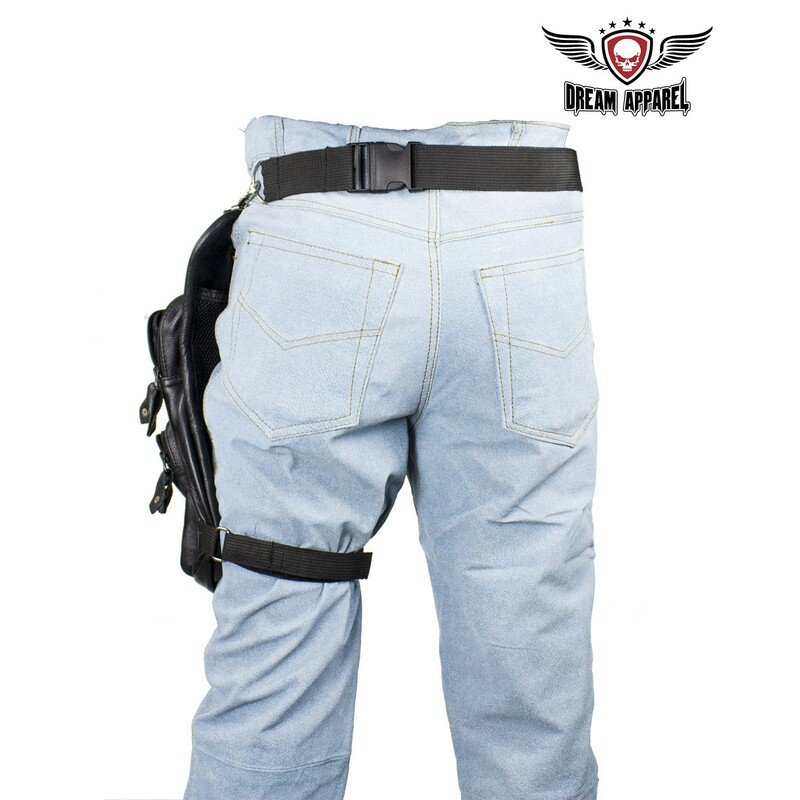 Finally, the top pocket is the largest of all which has a gun pocket inside. Lastly, a rather large mesh pocket is perfectly placed in the back allowing for quick placement. 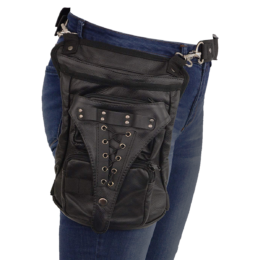 The lobster clasps are for easy attachment and detachment. 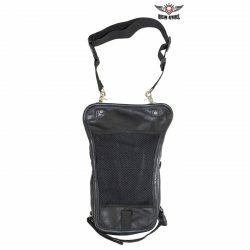 All in all, this bag is perfect for any and every biker looking to expand upon their look.